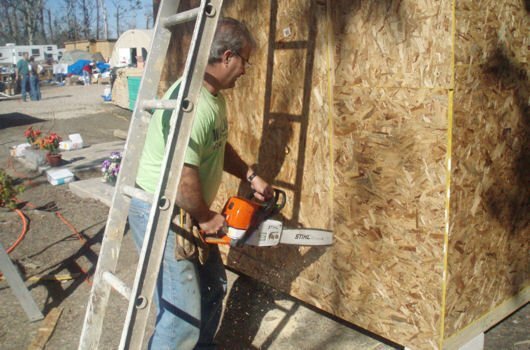 We built hundreds of sheds for Lakeshore residents living in FEMA campers. Each design sort of took on the character of the team building them. These sheds provided much needed storage space for people living in very cramped conditions. Many families use the sheds for their washing machines and dryers as they struggle to live, work, and go to school in housing designed for weekend get-aways. The sheds make life a little more bearable while they begin rebuilding their homes.